Acute myeloid leukemia (AML) is a highly heterogeneous hematologic malignancy with great variability of prognostic behaviors. 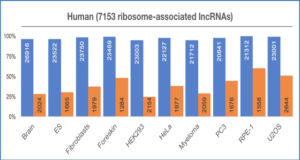 Previous studies have reported that long non-coding RNAs (lncRNAs) play an important role in AML and may thus be used as potential prognostic biomarkers. However, thus use of lncRNAs as prognostic biomarkers in AML and their detailed mechanisms of action in this disease have not yet been well characterized. 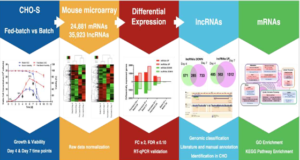 For this purpose, in the present study, the expression levels of lncRNAs and mRNAs were calculated using the RNA-seq V2 data for AML, following which a lncRNA‑lncRNA co-expression network (LLCN) was constructed. This revealed a total of 8 AML prognosis‑related lncRNA modules were identified, which displayed a significant correlation with patient survival (p≤0.05). 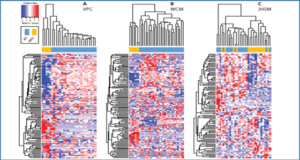 Subsequently, a prognosis-related lncRNA module pathway network was constructed to interpret the functional mechanism of the prognostic modules in AML. The results indicated that these prognostic modules were involved in the AML pathway, chemokine signaling pathway and WNT signaling pathway, all of which play important roles in AML. 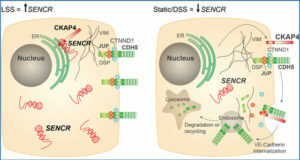 Furthermore, the investigation of lncRNAs in these prognostic modules suggested that an lncRNA (ZNF571-AS1) may be involved in AML via the Janus kinase (JAK)/signal transducer and activator of transcription (STAT) signaling pathway by regulating KIT and STAT5. 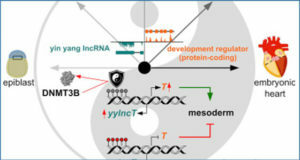 The results of the present study not only provide potential lncRNA modules as prognostic biomarkers, but also provide further insight into the molecular mechanisms of action of lncRNAs. 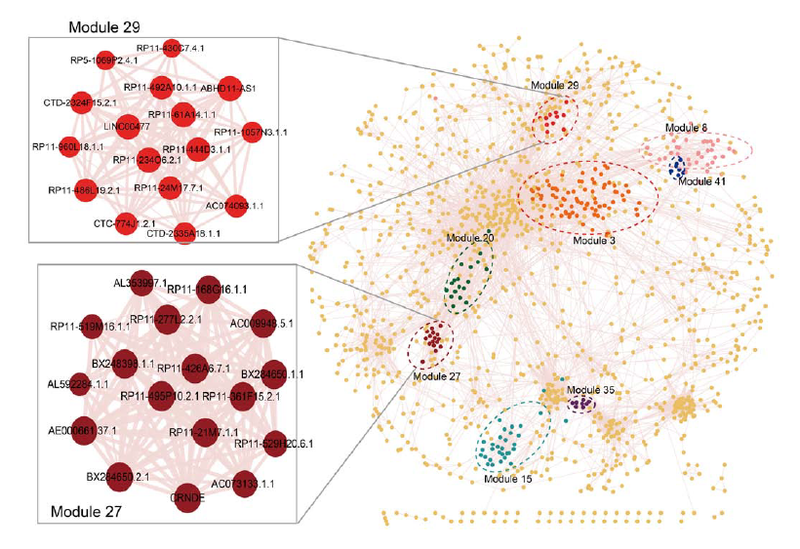 Long non‑coding RNA (lncRNA)-lncRNA co-expression network (LLCN) of acute myeloid leukemia (AML) and prognosis-related lncRNA co‑expression modules. 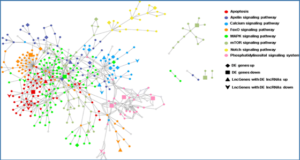 The circles represent nodes of lncRNAs. The nodes in dotted circles in different colors represent different modules. The most significant prognosis modules, modules 27 and 29 are zoomed in (left panels).